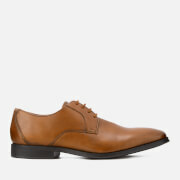 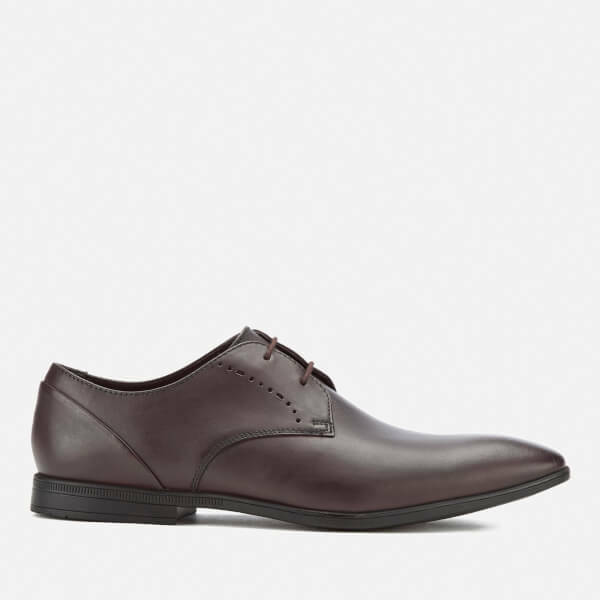 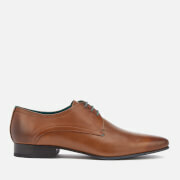 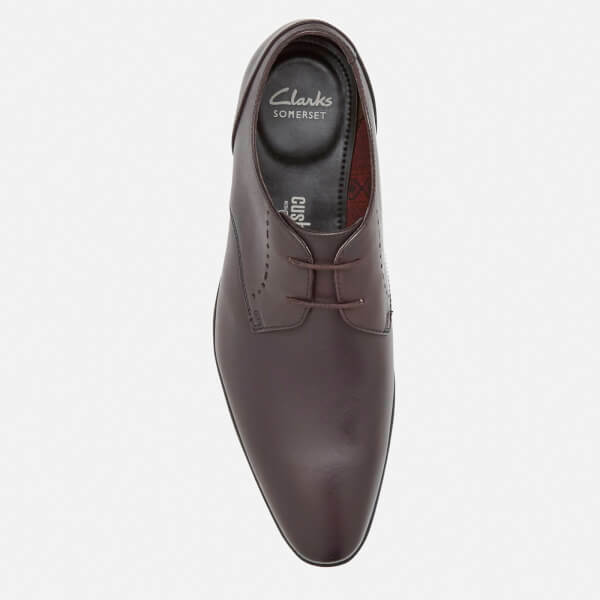 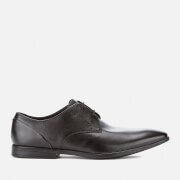 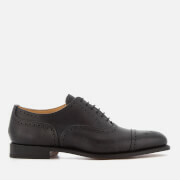 Men’s ‘Bampton’ brown leather Derby shoes from British heritage shoemakers Clarks. 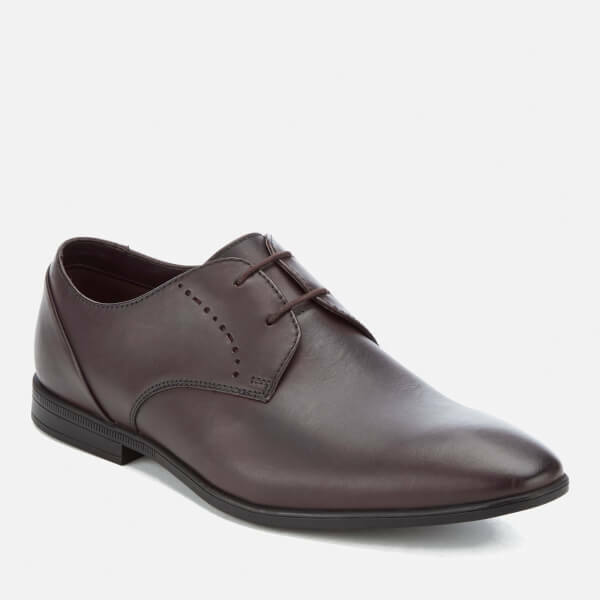 Crafted from soft leather, the almond toe shoes feature a flat lace-up fasten, a narrow tapered last and perforated details on the sides. 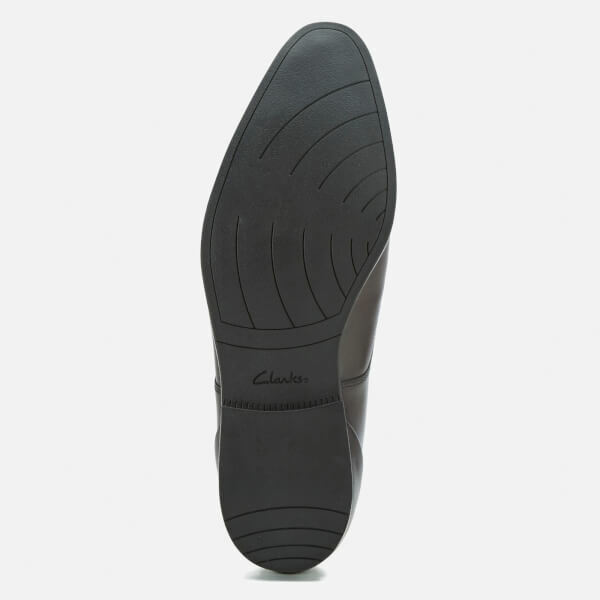 Set on a black rubber sole with a small heel, the ‘Bampton’ shoes feature a Cushion Soft™ foam footbed for all day comfort and a textured outsole for increased grip.